Experience how much better your plant can function with our expert heat exchanger services. 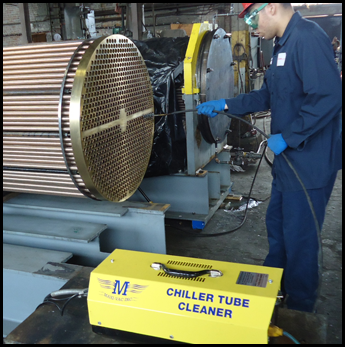 We offer full Shell and Tube Heat Exchanger, Condenser, and Cooler repair, cleaning, refurbishing, and fabrication and retubing per code Our facilities contains full machining and welding capabilities, to repair and fabricate heat exchangers and their components from tube sheets to baffles. All tolerances and dimensions strictly held. 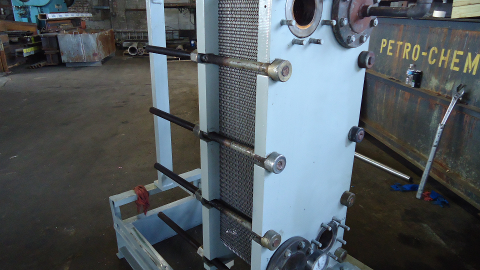 After repair and assembly, your heat exchanger will be hydro-tested or vacuum tested in our shop or in the field. Full reports submitted. Petro-Chem is your Plate & Frame Heat Exchanger Service Center. We offer full service inspection and cleaning of plates for process contamination, and reconditioning of your Plate Heat Exchanger - all makes and models. We offer on-site disassembly and reassembly, cleaning plates and replacing gaskets. Heat transfer loss is a major problem in heat exchangers. Petro-Chem will mechanically and chemically clean tubes – in our shop or in your plant. Heat Exchanger tubesheets, channels, and flanges which are deteriorated can be epoxy repaired. Metal based epoxy is applied to restore eroded surfaces on tubesheets and gaskets surfaces. After application of epoxy, ceramic is applied to protect and extend life of repaired surfaces. PETRO-CHEM INDUSTRIES is a certified "Pop-A-Plug™" installer, offering state-of-the-art tube plugging services. "Pop-A-Plug" is a tube plugging method developed and patented by Expansion Seal Technologies™. Their plugging system has a pressure rating of 6,000 psi, conforming to QA requirements ANSI N 45.2, 10 CFR50 App. B, and 10 CFR for nuclear applications. 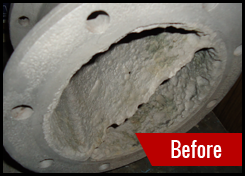 In business for over 40 years, PETRO-CHEM INDUSTRIES in Chicago, Illinois, is the name to trust in heat exchanger repair. 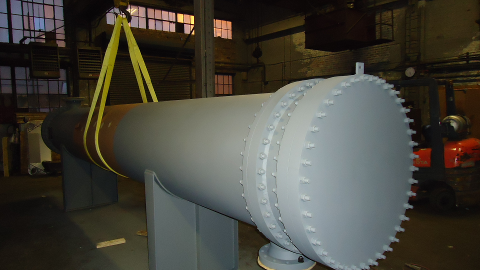 We specialize in fabricating and maintaining shell and tube heat exchangers and servicing and refurbishing plate and frame heat exchangers for plants in the petro-chemical, steel, power, food processing, railroad, oil, and nuclear power industries. Our other services include transformer and hydrogen cooler maintenance. We are a fully authorized service agent center with 15,000 square feet under overhead cranes, for heat exchanger repair, reconditioning, and cleaning. We have experience manufacturing exchangers with a variety of material and types of construction. We have superior experience and technical ability in our field - we can solve any problems you may face with your heat exchangers. 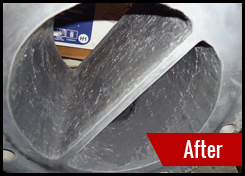 Heat exchangers eventually breakdown , let us be your source for emergency repairs. We employ qualified technicians, possessing the knowledge and familiarity with different types and brands needed to fulfill all of your heat exchanger requirements with speed and efficiency.